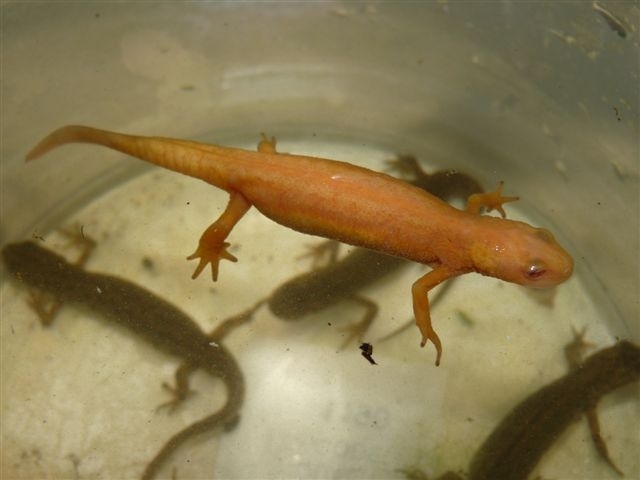 I mentioned an albino smooth newt had been spotted in a garden pond which also had a population of some albino toads last year; just got this photo of it from this spring courtesy of Steve Pash, a naturalist based in the vicinity of the pond, which is in Ruislip, North-West London. great find and pix will. ive read about this (or certainly a similar home counties) garden pond before. 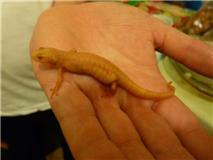 a few years ago there was an article/pix in the BHS journal on its toad and newt albinos. sorry, no i cant direct you to it. i only borrowed the publication from a mate. unusual occurrence isnt it? i wouldnt know whats driving it though! if it IS the same pond, are the nos of albinos increasing i wonder? thanks a lot for posting this very interesting item! Cheers Ben - I guess the BHS journal could have been referring to the same pond. I'll see if I can track it down. looks identical in colouration to the GCNs I've seen. subject). 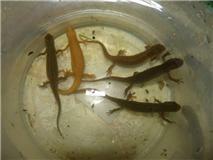 What are your thoughts on amelanism in newts? common to have yellow/orange/red pigments. dictionary of herpetological terms cites the very same. I'll have a look at that book you mentioned. Wow! thanks for all the conjectures folks! At any rate, whether it's albino or amelanistic it's a nice looking animal and the red eye suggests there's no dark pigment production I suppose. I found out that the BHS article was about this very pond; also that albino toads had been recorded around twenty years ago in a pond just around the corner from the current location, so it's a situation with some history. I have argued that 'odd coloured' amphibians in garden pond situations may be to do with enhanced survival chances in the sheltered environment of gardens rather than in the Darwinian school of hard knocks out there in the wild. 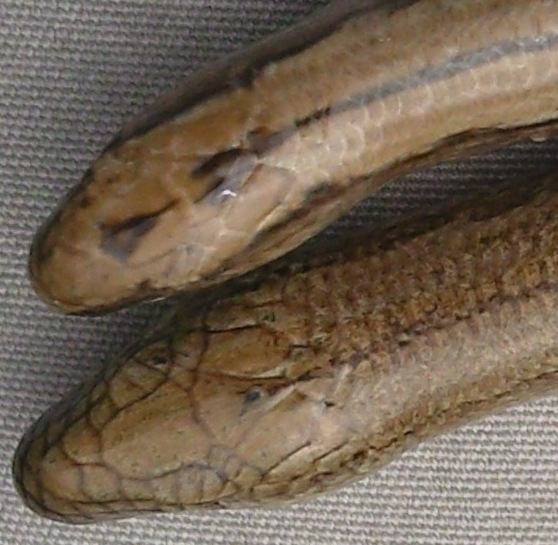 This wouldn't exclude the possibility of inbreeding producing more animals exhibiting colour variants in the first place, but equally a reduction in selection against brightly coloured morphs could heighten this phenomenon.